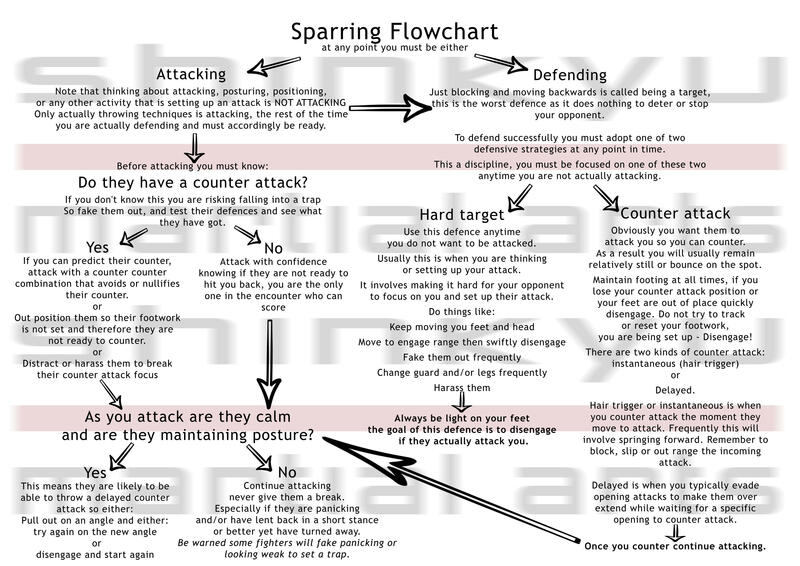 I am a massive advocate of tactics and thinking when sparring. I hate watching dumb fighters who slug it out. I have been there myself many times and am always frustrated with myself for eating punches in a contest of who is tougher or who hits harder. That way of fighting is just plain stupid; it is highly risky, not to mention that if you were fighting for real, even if you win, cuts, bruises and brain damage would be your supplementary prize. In contrast, a smart fighter hits without being hit themselves or even if they do get hit it is on the basis of a very calculated risk. That is easier said than done, and I couldn’t possibly attempt to teach you how to be tactical in a short article. But what I can do is get you started on the path of thinking more while fighting. Have you ever started sparring in the ring or in the dojo and thought to yourself what now? That is a bad thing. The first and foremost skill in strategic sparring is always to be doing something. Hanging around waiting for your opponent to take the initiative or wondering what to do is not good. This is also the biggest mistake people make in self-defence. To avoid this most common lack of strategy you must discipline yourself to follow this simple flow chart. It is pretty simple, at any given moment you must be doing something. You are either attacking or defending. If you’re attacking you should check whether you are walking into a trap by throwing some convincing fakes before attacking or setting them up so they are unlikely to counter when you attack them. By the way, in self-defence you are probably not going to have time to do that. If you are defending you are either being a hard target and being ready to evade or you are counter attacking. If you are counter attacking you are either ready with an instantaneous counter or you are drawing them in and setting them up for a delayed counter. Even if you are thinking to yourself “What should I do next?” while you are thinking you should be adopting a hard target strategy. But the big thing you are never doing is just moving back and blocking when you are attacked and hoping things will get better, they won’t. You have to have a strategy for hitting them back or escaping. Pay attention to what is working and what is not. The second thing you should adopt is checking whether what you are doing is working. I often spar with people who keep on throwing the same combination at me even though I am defending it or in some cases countering it. They are throwing the same combo because it is their favourite or they have had success with it in the past and may have even scored on me with it earlier, but I have since worked it out and they haven’t noticed. You must pay attention to what is working for you to stop yourself trying to hammer a square peg into a round hole and getting nowhere. 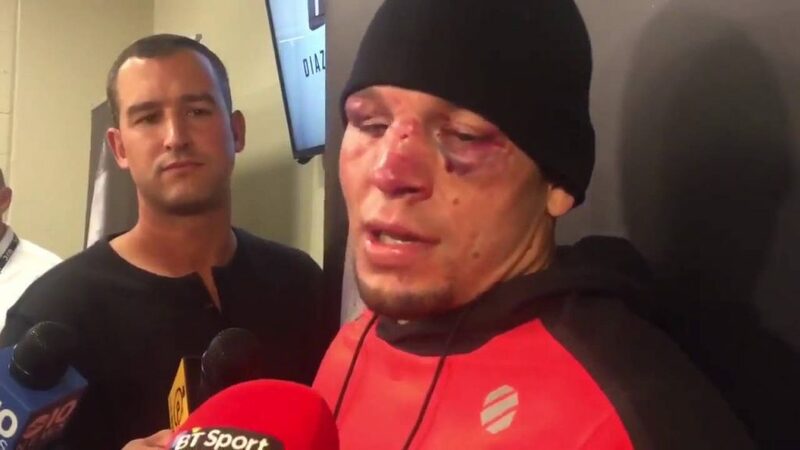 As simple as this seems, it happens all the time even to professional fighters. 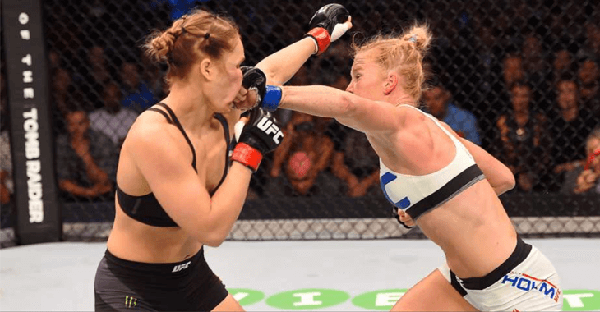 Ronda Rousey is the classic example in her first MMA defeat against Holly Holm, she continually tried to press forward with punches only to be brutally counter punched by the taller and better-timed Holm. Despite being bloodied and battered over and over, she made no attempt to change her strategy. She didn’t pay any attention to what was working and what wasn’t. f an opponent is consistently scoring against you, you must change your strategy. Countless times I have seen a fighter fail to defend a certain technique or combination but then fail to change their defensive strategy, and they end up getting hit over and over by the same thing. The definition of insanity is doing the same thing over and over and expecting different results. A great example of not paying attention comes again from Rhonda Rousey; this time she was fighting Amanda Nunes. Nunes from the outset showed she had fast and accurate hands that easily penetrated Rousey’s stiff and relatively static guard and stance. 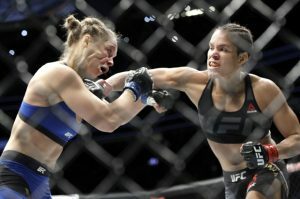 To her credit, Rousey did make one attempt at counter punching and one attempt to grapple but they were feeble and easily thwarted by Nunes. She stayed relatively static while standing in the perfect punching range for Nunes who clearly outclasses her in this department. She didn’t attempt to evade and disengage or to change her guard and stance. Forty-eight seconds into the fight she was TKO’d. If you get hit once you would be forgiven if you shook it off and thought to yourself they were lucky. If they get you a second time then you need to take action to make sure you are not going to be hit a third time. Disengage and give yourself a moment to think: what will help, do I need to change my guard or the way I am blocking? Is there a gap? Should I be moving my head and/or feet more to make it harder for them to find the target? Am I getting too close? Should I stop defending and start attacking? Should I change my counter-attacking strategy and use a different counter or swap from instantaneous to delayed or vice versa? Or should I evade and disengage when they take the initiative? Pay attention to what is working for you and what is not. If you are in the ring or the dojo, take the time to disengage and think, be patient and be strategic. Work tirelessly on keeping different options: more combinations in attack, and a variety of counter attacking and evasive and disengaging strategies in defence. This way you will have more options if what you do the first time around is not working.